The Appalachia Service Project (ASP) is opening the Summer ministry to those who have finished 6th-9th Grade. Grand Lake Church will be taking a team(s) in June or July (TBD) for a Sunday morning-Saturday afternoon. We need youth and adults; each team is five youth and two adults. 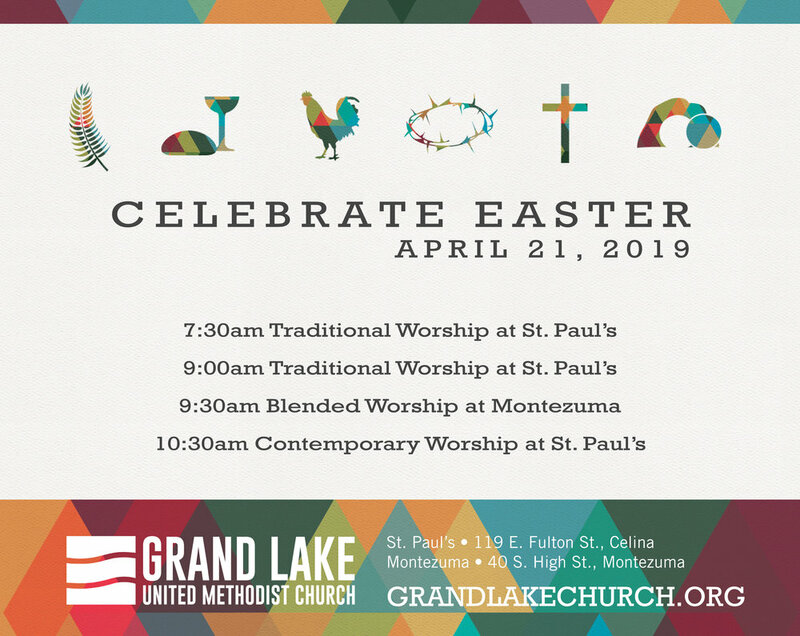 If interested, please sign up on the bulletin board across from the Lounge on the 2nd floor of St. Paul’s, call the church office at 419-586-6621 or contact Mark Armstrong at marmstrong@grandlakechurch.org or Jerry Barger at bargertj@yahoo.com. The cost is $175.00 per person and we will have fundraisers to help with the cost if needed. Senior High Appalachia Service Project will be headed to the hills of Kentucky from July 14-20. This is open to all Youth who have completed 8th-12th Grade. They are encouraged to bring friends. The week will be spent making homes warmer, safer and drier for impoverished families living in Central Appalachia. The cost is $175 for members of Grand Lake and $325 for non-members. We have full and partial scholarships available. If you would like to participate this year, please sign your name on the sign-up sheet across from the Lounge on 2nd Floor of St. Paul’s or contact Jerry and Tammy Barger at 419-305-5238 or recordertammy@yahoo.com. Are you in need of a day at the beach? A day to slow down, wiggle your toes in the sand, and just bask in the warmth of the sun? Every woman longs for a day like this - even those who live hundreds of miles from the nearest coastline! SeaSide Escape is a retreat where women slow down and enjoy time with other women and with God. It is an in-depth Bible study, an unforgettable worship experience, and an open invitation for women to draw closer together, to be still in God's presence, and to sun themselves in His love. This day away is on Saturday, March 23 from 9:00am-4:00pm at Camp Wesley in Bellefontaine. The cost is $25.00. Scholarships are available upon request. Please contact Beth Overman at eaoverman@gmail.com with any questions. Carpooling will be available. Turn in registration and the $25 payment today. Click here to register online. Getting ready to do some spring cleaning? If so, don’t throw out those old shoes! Grand Lake UMC is partnering with St. John Lutheran Church in a program called “WaterStep” in which we donate our old, but preferably “gently used” shoes (even mismatches!) to a group who sells the shoes and uses the profits to build wells for people in developing countries. Donations will be collected until April 15. Please attach matching shoes by tying laces or rubber-banding them together. Bring your shoes to the Commons at Montezuma and to the Lobby at St. Paul's. Thank you! The next Spiritual Fitness class that will be taught at the YMCA is ALPHA. The class will take place on Wednesdays, March 6-May 29 from 11:30am-1:00pm. Needed are volunteers to help facilitate as an ALPHA discussion leader and also needed are volunteers to provide and serve food for the ALPHA small group at the YMCA. Please call the church office at 419-586-6621 if you are interested in helping in either of these ways. There are also sign-up sheets in the Lobby at St. Paul's. All are welcome to come to Plaza Bowling Lanes in Celina for the Family Bowling Afternoon! On Saturday, February 9 from 3:00-5:00pm, there is a Women’s Ministry event: Ball Jar String Art. It will be held in the Fellowship Hall at St. Paul’s. The cost is $5.00. All are welcome. Hope you can make it! To register or for questions, please contact Beth Overman at 419-733-9350 or eaoverman@gmail.com. What: A time to go bowling, fellowship and have fun! Give the gift of life this Christmas! There is a blood drive at St. Paul’s on Thursday, December 27 from noon-6:00pm. To schedule, go to redcrossblood.org (sponsor code grandumc). All volunteers and blood donors will receive a free long-sleeve t-shirt and a free meal! Make plans to join us at Grand Lake UMC on Christmas Eve! We are offering five worship experiences to help you celebrate Christ this Christmas. The nursery is available at St. Paul’s services. We are hosting a free dinner in St. Paul’s Fellowship Hall from 5:30-7:00pm, where you may come enjoy a warm meal and good company on Christmas Eve. We hope you can join us to celebrate the birth of Jesus! Grand Lake UMC will be showing the movie, The Incredibles 2, next Sunday, November 25 at 6:00pm in St. Paul’s Sanctuary, complete with popcorn and water, and it’s free! All are welcome to come enjoy this event as we prepare to begin the Incredible Advent Series as a church. Grand Lake UMC is serving as a Relay Site for Operation Christmas Child the week of November 12-19. We will collect from 5:30-7:30pm Monday through Friday, November 12-16, 11:00am-1:00pm on Saturday, November 17, from 12:00-3:00pm on Sunday, November 18 and from 8:00-11:00am on Monday, November 19. See the table in the Lobby at St. Paul’s and the back table at Montezuma for ways to participate, for what to pack in the boxes. Sign up for a shift of greeting or packing boxes in the Library/Commons. Please remember, there is to be NO toothpaste or candy packed in the boxes. Thank you! Contact person: Robyn Armstrong at 419-586-7044. Bishop Palmer is going to speak at seven sites to share the key proposals to the February 23-26, 2019 Special General Conference of the United Methodist Church from the Commission on a Way Forward. The first date, and closest site is on Sunday, November 11, 4:00-5:30pm at First UMC, Troy. You are asked to register for the meeting in advance, and may do so by going to westohioumc.org/WayForwardGatherings. You will also see the other six dates/locations and may click on a site to learn more about the human sexuality proposals ahead of time from that site. The annual Election Day Dinner is Tuesday, November 6, 11:00am-1:00pm. The traditional dinner of baked chicken, hamloaf, and all the trimmings will be served. The Country Store is open from 8:00am-2:00pm. Everyone is invited to come and enjoy! On Wednesday October 31, we are going to transform the church into a family friendly Halloween party to reach out to our community with Jesus’ love in a very unique and fun way! You will not want to miss our yummy Halloween dinner (word on the street is that Mark will be hitting up the bait shops for our main course! ), the many games, stations, and CANDY that will be around the church. Dinner will be served from 4:45-6:00pm. The Halloween party will be open for children with special needs from 5:30-6:00pm and for everyone from 6:00-8:00pm. Adults are encouraged to come in costumes and have a ton of fun as well! Would you be willing to help us stock pile some Halloween candy? Please drop off candy at the church office or put it in the box in the Library. Thank you for helping to make this a screaming good time for our kids! OUR Home Family Resource in cooperation with Celina Kiwanis Club is sponsoring Winter Warmth Day to provide winter coats, hats and mittens to children and adults in need. Coat, hat and glove donations are accepted until October 22, 2018. 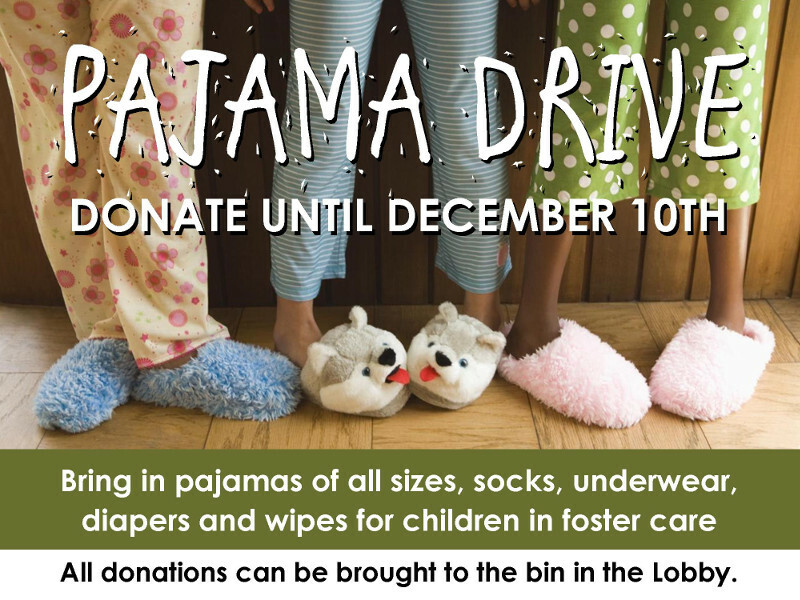 Please drop off items at St. Paul's Fellowship Hall or the Commons at Montezuma. If you live in Mercer County and need a winter coat, hat or mittens, come to 1107 N Main St., Celina OH in the Chief Shopping Center next to F45 Fitness on Saturday, October 27, 2018 from 9:00-11:00am. If you would like to help on Winter Warmth Day, please call OUR Home at 419-586-4663. Big Brothers Big Sisters is looking for some supplies to help with their Lunch Buddies and Afterschool Program. There are supply cards at the Connection Center of St. Paul's and the back table at Montezuma with their requests. If you would be willing to help us support Big Brothers Big Sisters, please grab a card and bring back your gift by Sunday, October 14. If you have any questions, please see Pastor Matt or Pastor Mick. New Life Christian Center, 7015 Havemann Rd, Celina, is hosting a speaker, Brother Yun, on Friday, October 5 at 7:00pm. He is the author of The Heavenly Man and will share his personal testimony and tell of the missionary vision of the Chinese underground church. All are welcome! The next Good Works Mission Trip is forming. We would love to have you be part of this 32-hour mission. We leave Friday, September 14 at noon and return Saturday evening, September 15. We serve a Friday evening meal to approximately 120 people and are assigned to a service project in Athens on Saturday. Sign up to be part of this Community of Hope in Athens, Ohio by calling the church office or emailing office@grandlakechurch.org. The registration ($50.00) and volunteer release form, which may be picked up in the church office, are due by August 10, 2018.